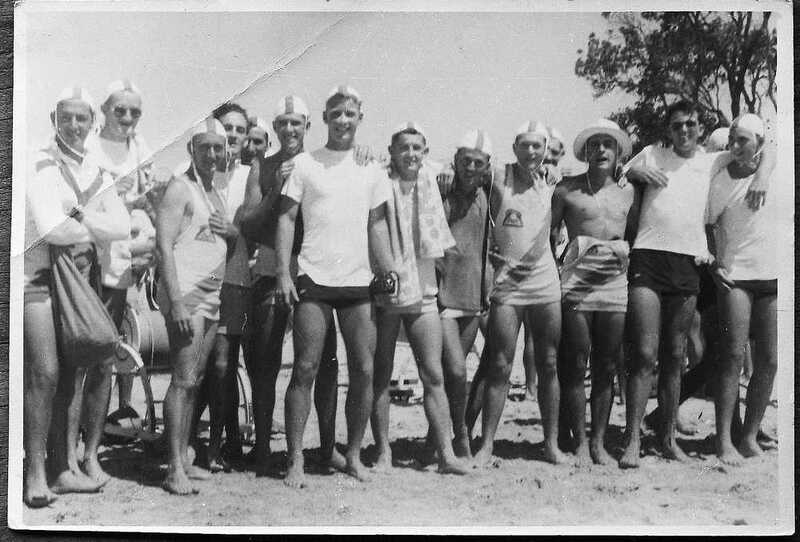 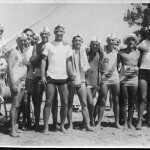 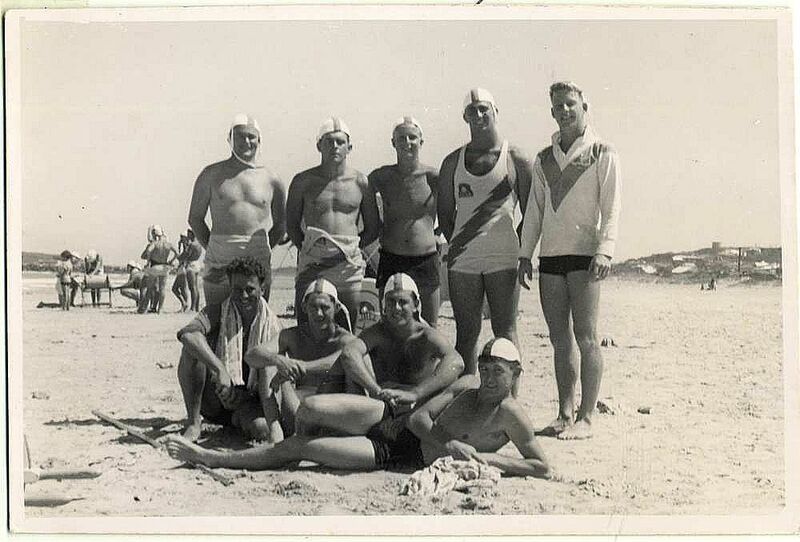 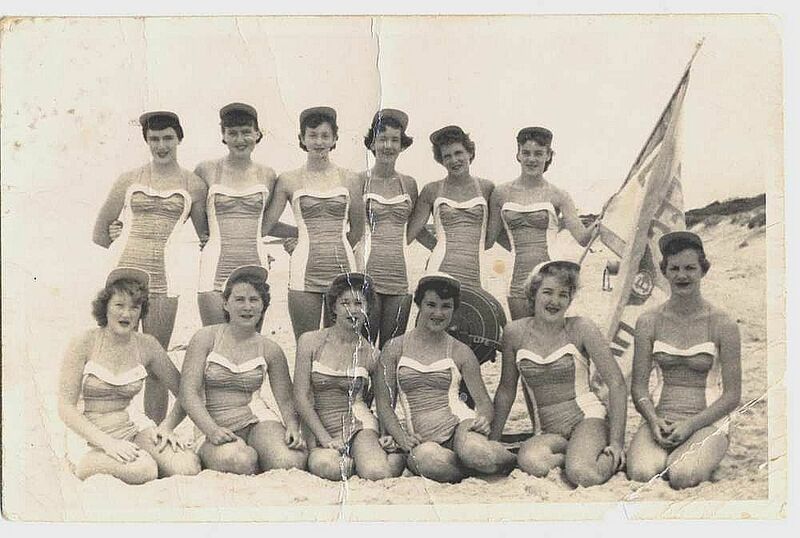 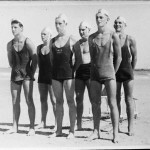 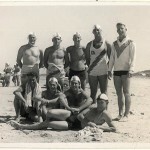 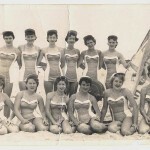 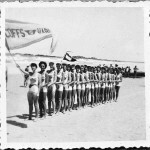 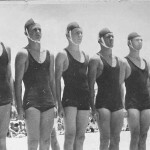 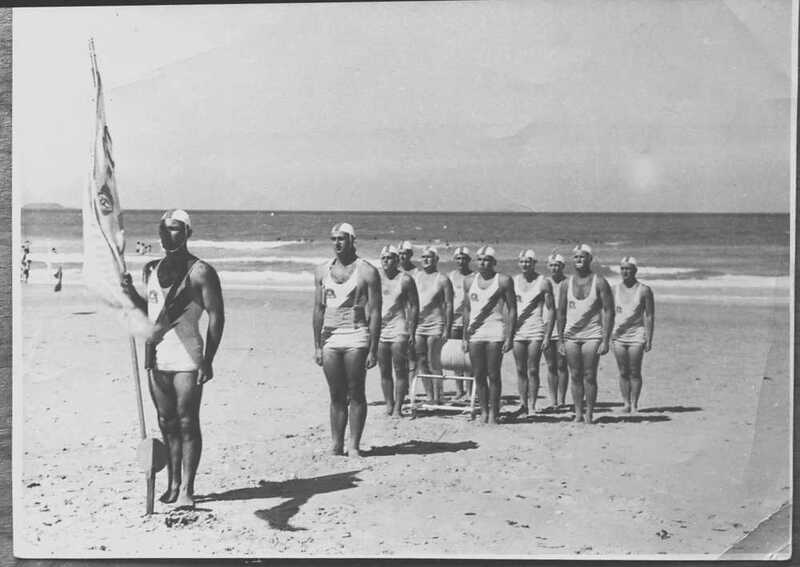 Coffs Harbour was the premier country club at the State Championships held at Terrigal in 1953-54.The Senior R&R Team placed third behind Freshwater and Bondi. 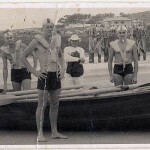 John Bloomfield was third in the senior belt race and Max Pascoe was second in the junior belt race. 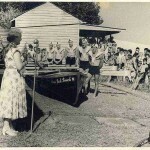 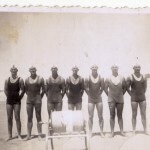 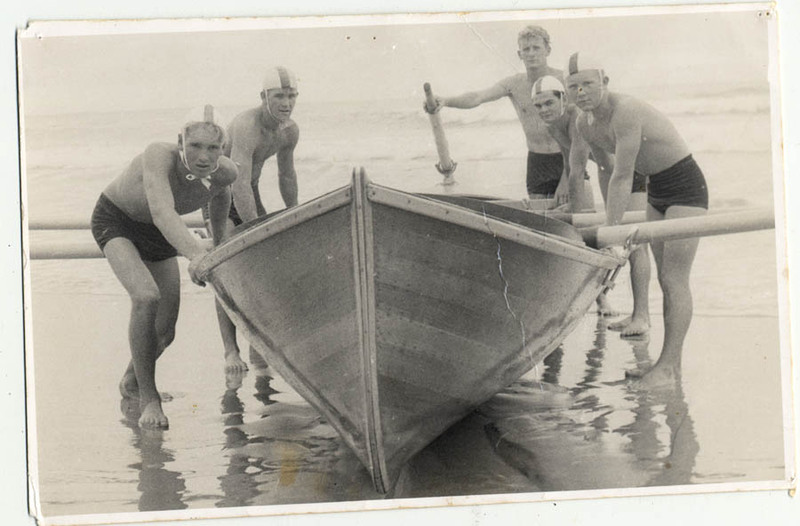 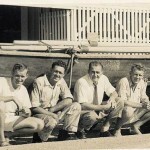 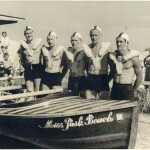 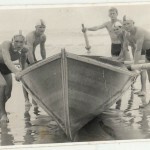 At a committee meeting held at the plantation Hotel on November 3, 1955, J.Bartlett and B.Seccombe moved “that boat builders Bailey Bros. be asked to supply one cedar tuck stern surf boat with spruce oars and an Oregon sweep oar at a cost of four hundred and sixty pounds; delivery by January 5, 1956”. 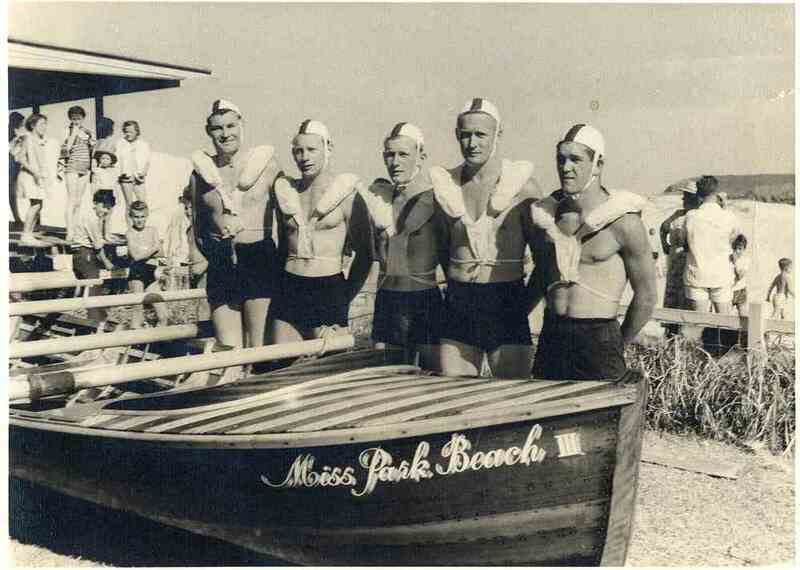 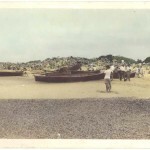 The new boat was delivered in March 1956 and named Miss Park Beach III, Boat Captain John Barlett was delighted with the new craft. 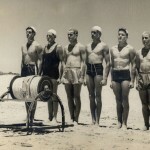 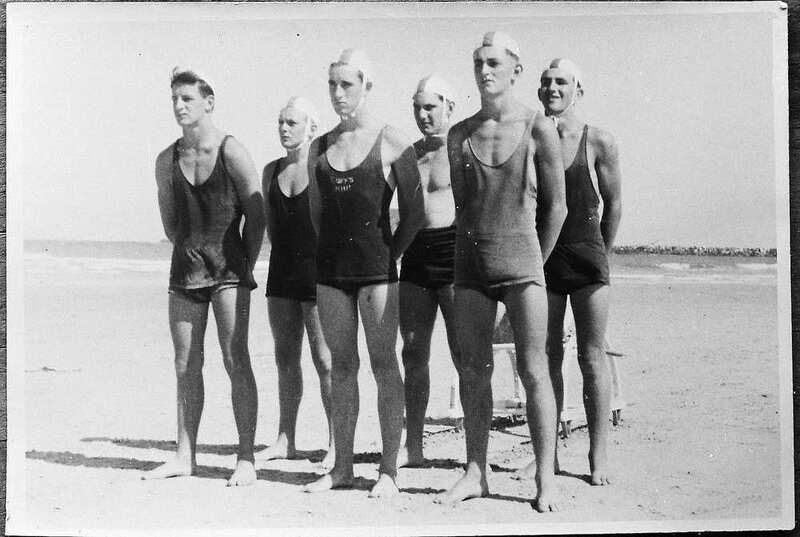 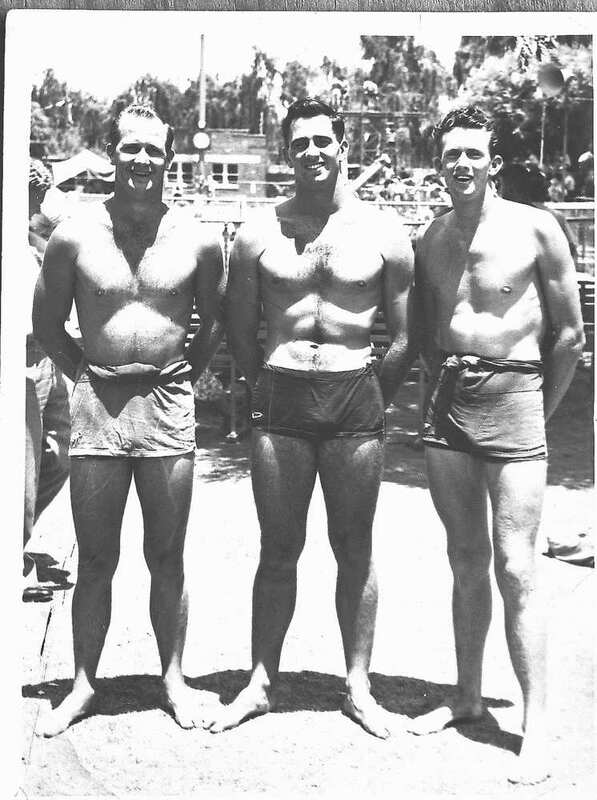 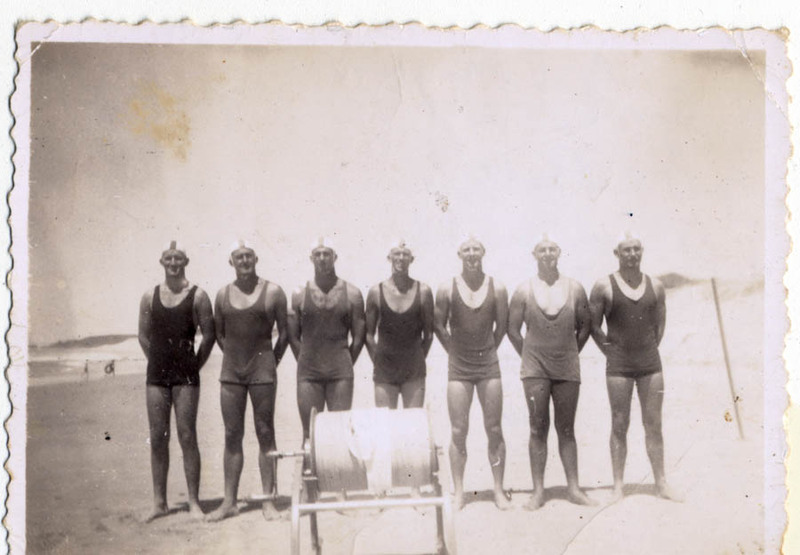 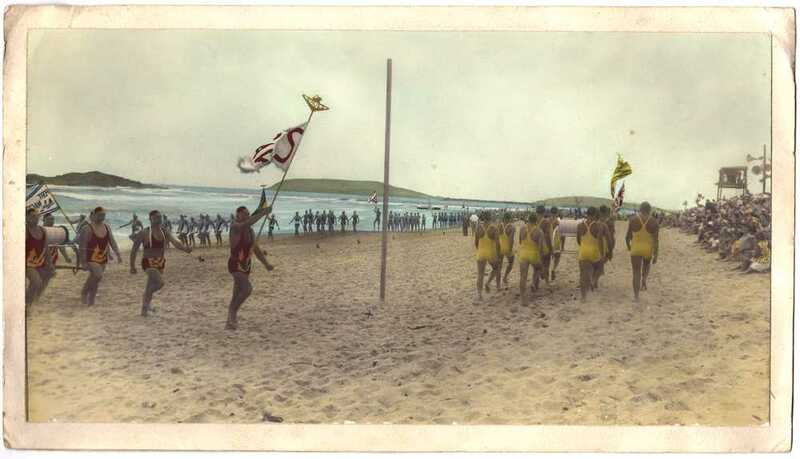 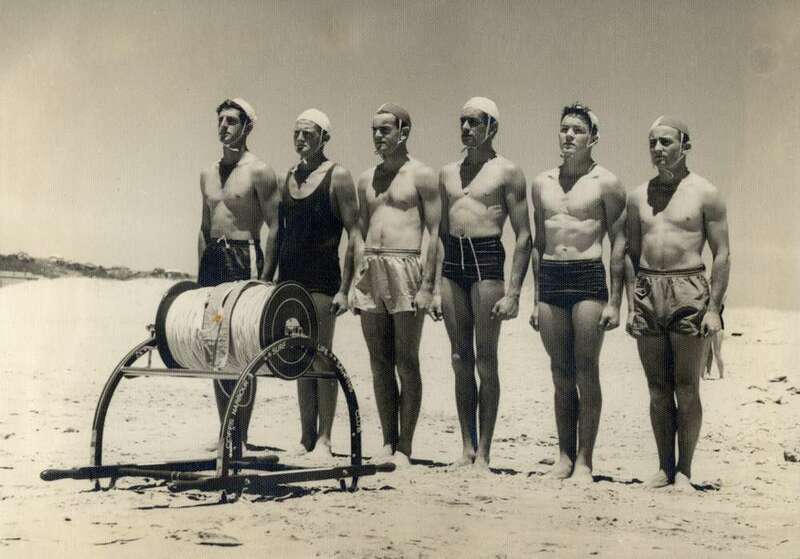 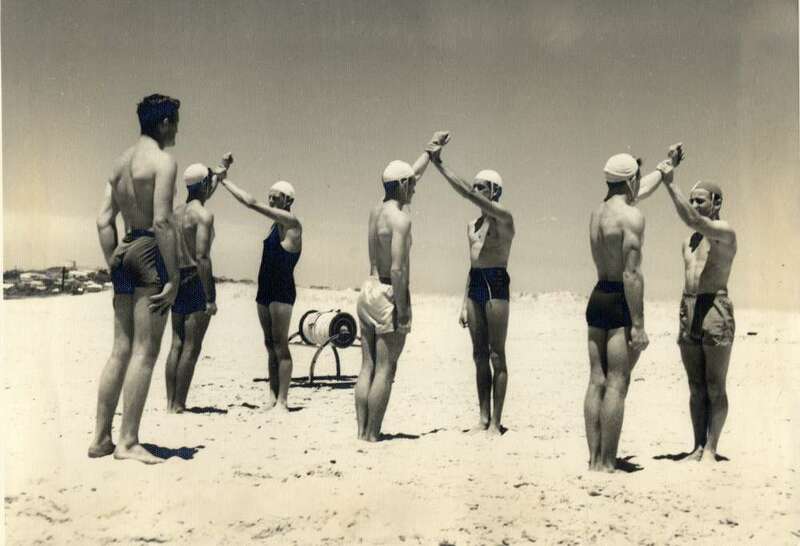 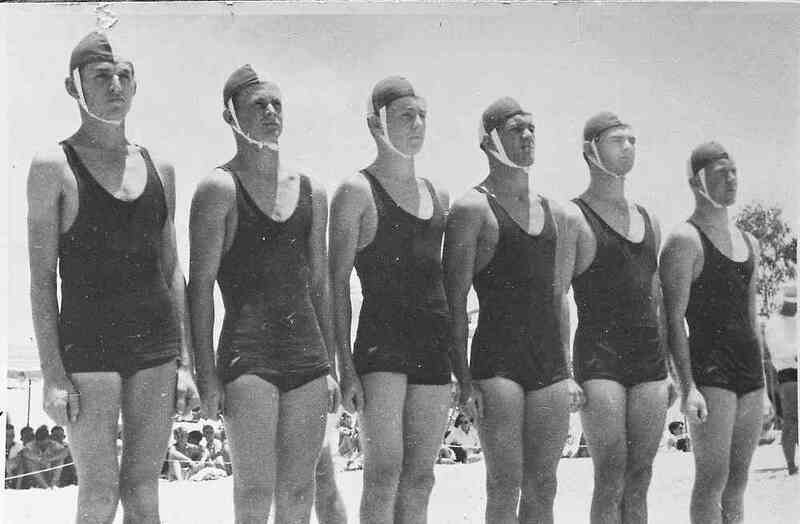 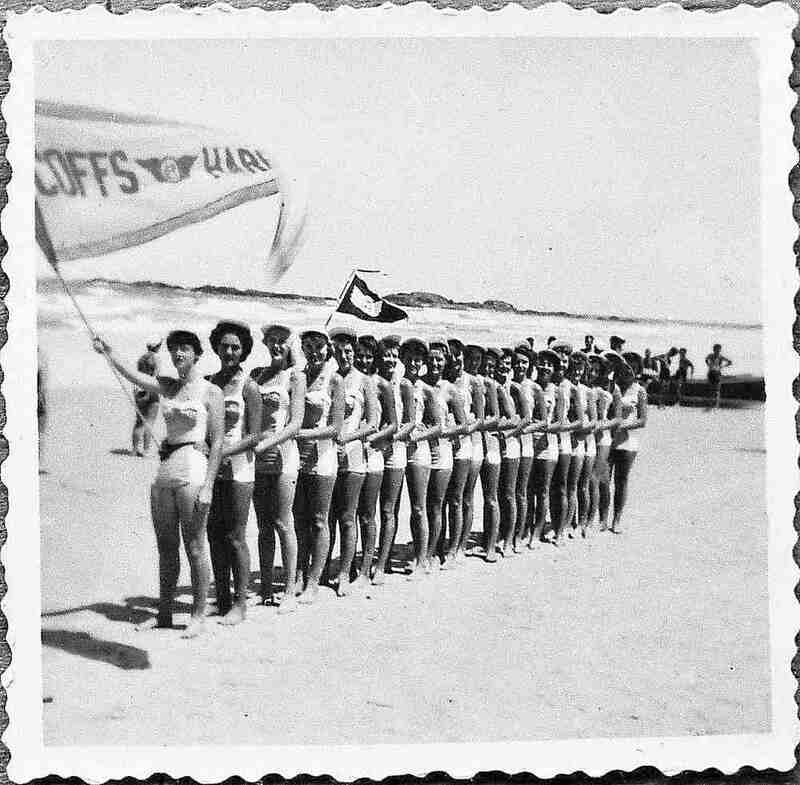 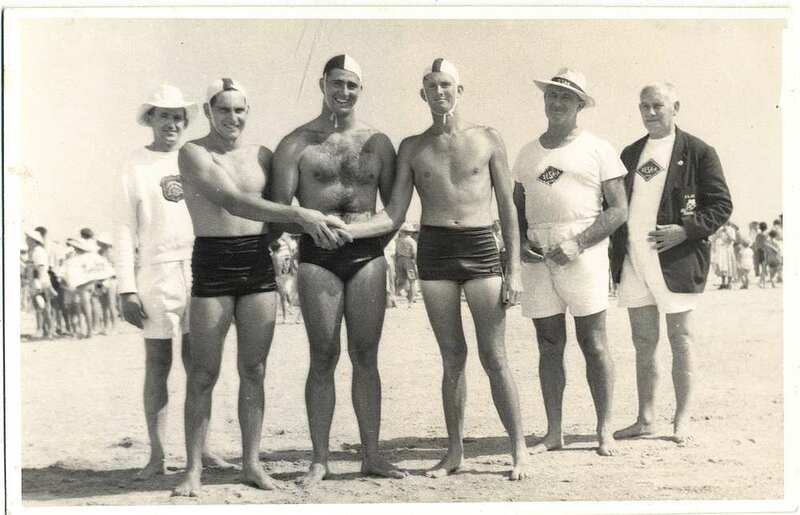 Another memorable year for our club was 1957, this extract taken from the NSW State Centre Annual Report; “This year the State Surf Championships were held at Park Beach, which is patrolled by the Coffs Harbour Surf Life Saving Club, on Saturday, 23rd March, 1957. 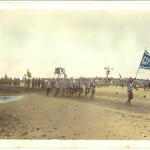 The carnival was organized by Reg Shanahan, Noel Condon, Garry Voight, R.McDonald and Jim Gorman. 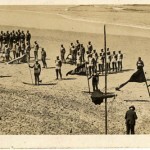 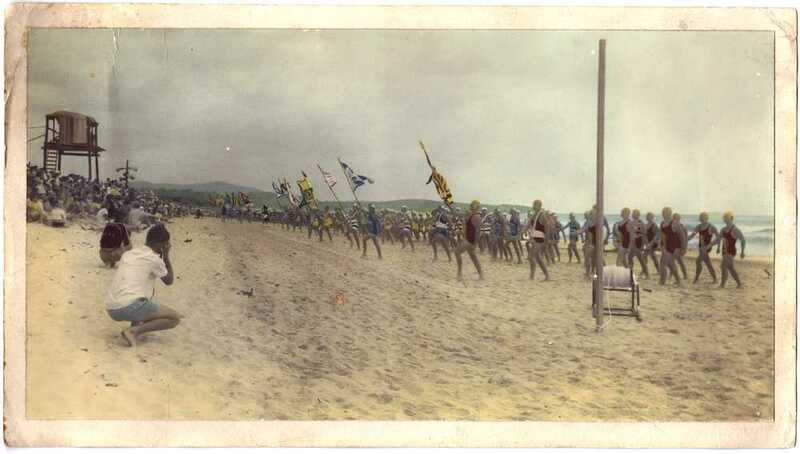 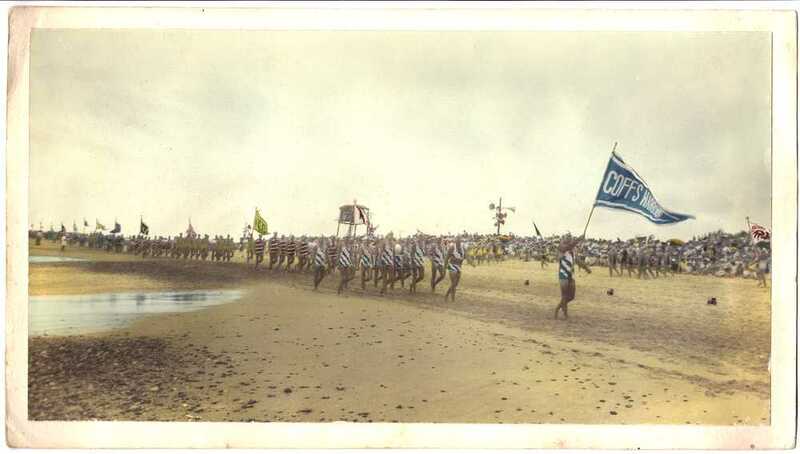 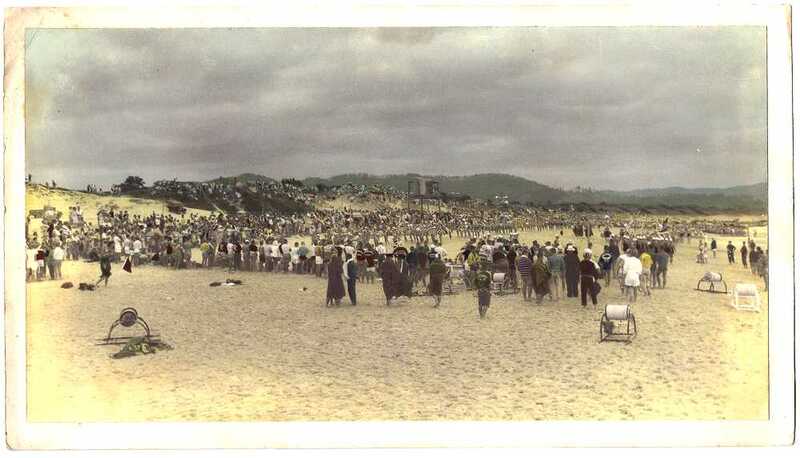 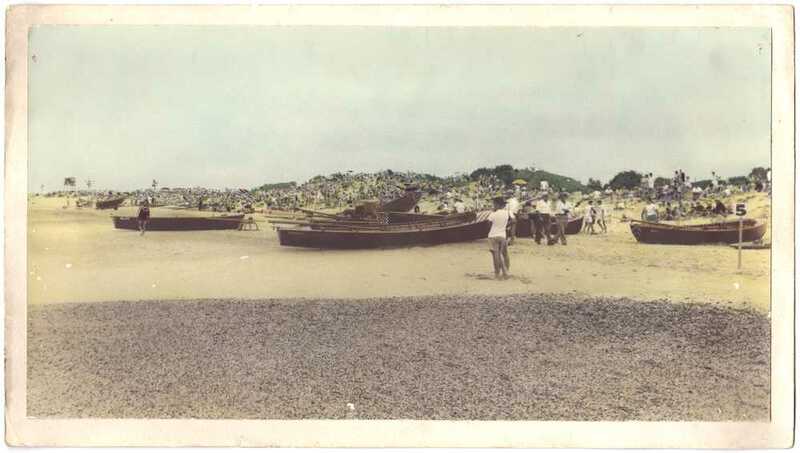 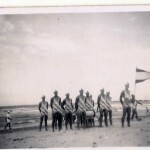 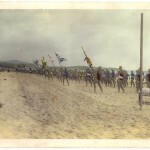 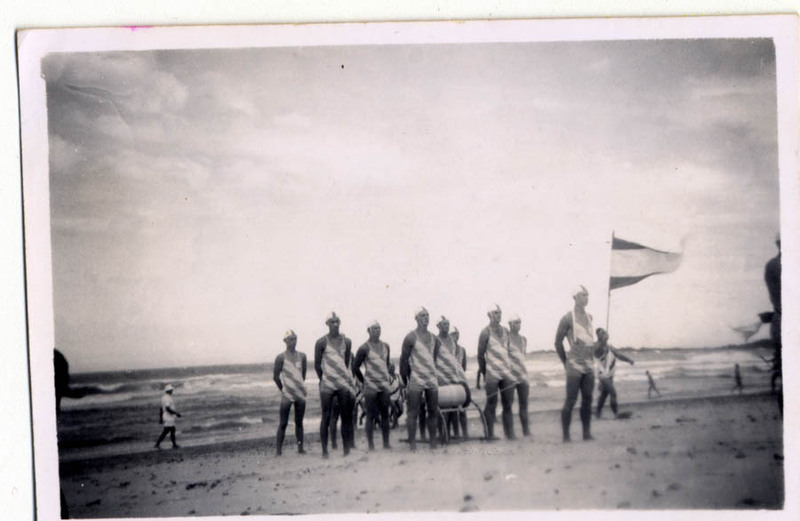 The weather was good, but a strong southerly whipped up a big surf and many thrills were given to the large crowd estimated at about 7000 that attended”. 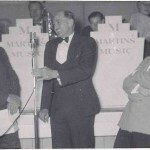 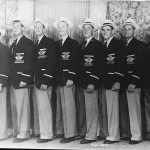 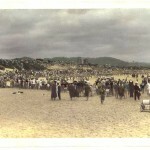 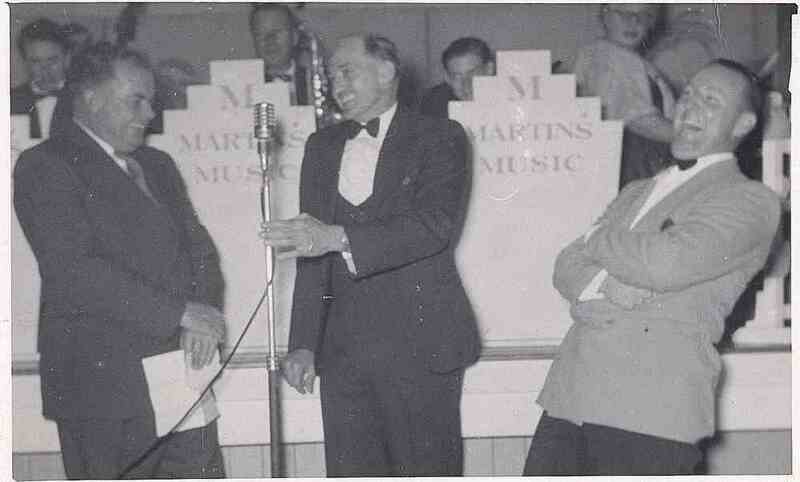 After the Championships a Golden Jubilee Dinner was held at the Hotel Coffs Harbour. 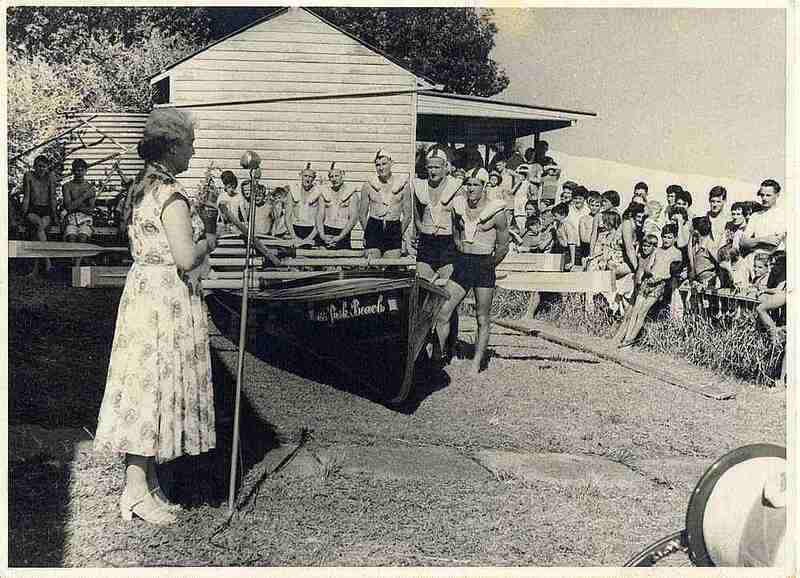 On October 10, 1959 our club hosted the second NSW State Centre Annual General Meeting to be held outside Sydney. 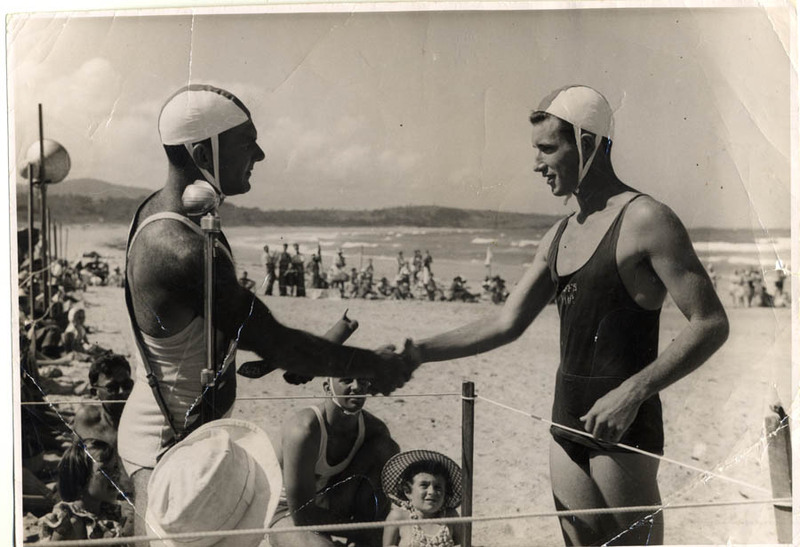 The main topic on the business paper being: “Consideration of an application by a committee formed by clubs in the Manly-Warringah area for permission to form a Branch”. 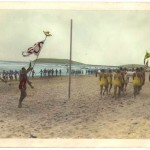 The voting was 15-12 in favour. 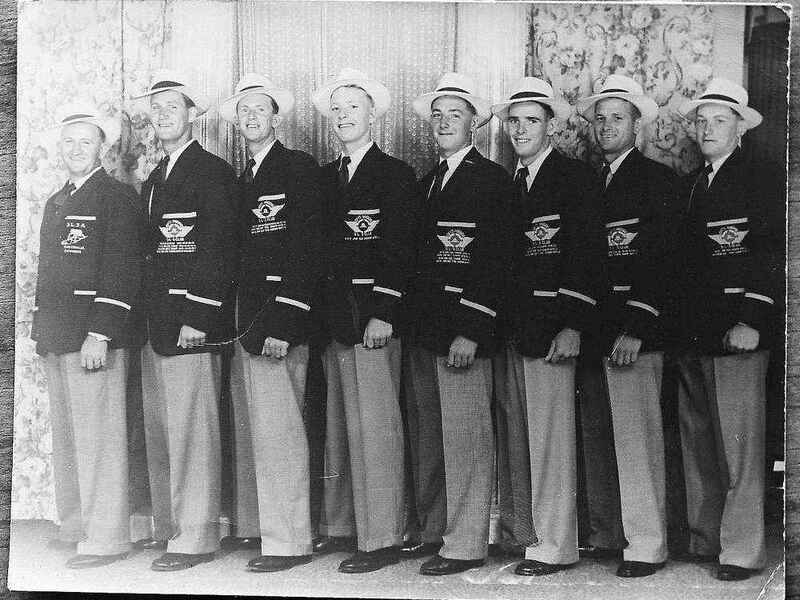 John Bloomfield came to Coffs Harbour from the Kiama area with the Australian junior belt title to his name. 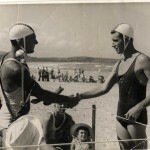 In his first year as a senior with our club he won the NSW senior belt championship at Byron Bay and again next year at “The Caves”. 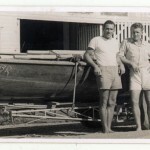 In 1953 he was 3rd in the senior belt race and a member of the R & R team that finished 3rd at Terrigal. 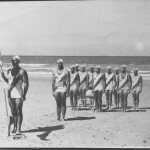 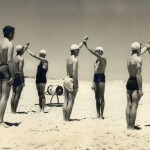 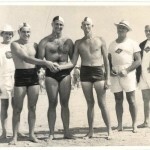 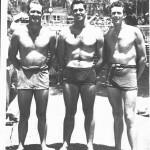 John won the senior belt race at the Royal Carnival at Bondi in 1954; toured with the Instructional Team to Hawaii in 1951; and was a member of the Australian team that toured South Africa in 1954.